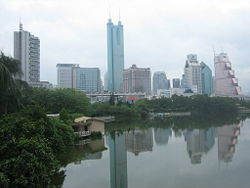 Shenzhen is a sub-provincial city of Guangdong province in southern China. Although this city is famous for its extreme proximity with the boundary of Hong Kong, it is at least 25 kilometers (15.5 miles) away from the core urban area of Hong Kong. Shenzhen is a center of foreign investment and since the late 1970s has been one of the fastest growing cities in the world. It is also the busiest port in China after Shanghai. In the past two decades, outsiders have invested more than $30 billion in factories and joint ventures in Shenzhen. The one-time fishing village of Shenzhen was singled out by late Chinese paramount leader Deng Xiaoping to become the first of the Special Economic Zones (SEZ), created as an experiment in capitalism and "socialism with Chinese characteristics." With an official population estimated at around nine million (including floating residents), Shenzhen has been the fastest growing city in China for the past 30 years. Shenzhen is in the top rank of mainland Chinese cities in terms of comprehensive economic power. It ranked fourth in GDP among mainland Chinese cities in 2001, and top in GDP per capita during the same period. Its import and export volumes have been first for the last nine consecutive years. It is the second in terms of industrial output. Shenzhen is a showcase for some of the most audacious building projects that China has ever seen. The International Trade Center (国贸), built in 1985, was the tallest building in China when built, and the Shun Hing building, still the tallest steel building in the world, was also the tallest in Asia when it was built. The one-time fishing village of Shenzhen was singled out by late Chinese paramount leader Deng Xiaoping to become the first of the Special Economic Zones (SEZ) in China. It was originally established in 1979 due to its proximity to Hong Kong, then a prosperous British colony. The SEZ was created to be an experiment in capitalism and "socialism with Chinese characteristics." The location was chosen to attract industrial investment from Hong Kong, since the two are located near each other and share the same culture. The concept proved to be a great success, propelling the further opening up of China and continuous economic reform. Shenzhen eventually became one of the largest cities in the Pearl River Delta region, which has become one of the economic powerhouses of China as well as the largest manufacturing base in the world. Shenzhen, which profited the most from the first reforms initiated by Deng, is often cited as an example of the success of Deng’s economic revival. Shenzhen, formerly known as Bao'an County (宝安县), was promoted to the level of a prefecture, directly governed by Guangdong province, in November, 1979. In May, 1980, Shenzhen was formally nominated as a "special economic zone," the first one of its kind in China. It was given the right of provincial-level economic administration in November 1988. Shenzhen Municipality comprises six districts: Luohu (罗湖), Futian (福田), Nanshan (南山), Yantian (盐田), Bao'an (宝安), and Longgang (龙岗). The Special Economic Zone comprises Luohu, Futian, Nanshan, and Yantian but not Bao'an and Longgang. Located in the center of the SEZ and adjacent to Hong Kong, Luohu is the financial and trading centre. It covers an area of 78.89 km² (49 sq. miles). Futian, where the Municipal Government is situated, is at the heart of the SEZ and covers an area of 78.04 km² (48.49 sq. miles). Covering an area of 164.29 km² (102 sq. miles), Nanshan is the centre for high-tech industries and it is situated in the west of the SEZ. Outside the SEZ, Bao'an (712.92 km²) (443 sq. miles) and Longgang (844.07 km²) (524.48 sq. miles) are located to the north-west and north-east of Shenzhen respectively. Yantian (75.68 km²) (47 sq. miles) is known for logistics. Yantian Port is the second largest deepwater container terminal in China and fourth largest in the world. Shenzhen is located in the Pearl River Delta. The municipality covers an area of 2,020 km² (780 sq. miles) including urban and rural areas, with a nighttime population (not including commuters) of 8,277,500, at the end of 2005. Among those, 1,819,300 had legal residence. Shenzhen was originally a mountainous area, with fertile agrarian land. However, after the introduction of special economic zone in 1979, the landscape of Shenzhen underwent tremendous change. The once-hilly fishing village has now been replaced by mostly flat ground in the downtown area, with only Lian Hua hill (Lotus Hill), Bi Jia Hill (Mount Bi Jia) and Mount WuTong having enough elevation to be detected by satellites. With the influx of emigrants from inland China, Shenzhen is experiencing a second stage of growth, and it is now expanding peripherally. The hills in surrounding areas such as Mission Hills are now being leveled to create more land for development. Shenzhen is located on the border with the Hong Kong SAR across the Sham Chun River and Sha Tau Kok River, 160 km south of the provincial capital of Guangzhou, and 70 km south of the industrial city of Dongguan. To the west, the resort city of Zhuhai is a 60 km away. The population of Shenzhen has developed rapidly since the establishment of the SEZ. With an official population estimated at around nine million (including floating residents), Shenzhen has been the fastest growing city in China for the past 30 years. However, many people think there are far more residents, mostly because they are commuters from Dongguan. Among the reasons for this rapid development is the cost of labor, which is substantially lower than in neighboring Hong Kong. One problem with such rampant population growth is that 70 percent of the people in Shenzhen lack an official residence permit or household registry. Most "old" Shenzhen locals felt that the practice of freely allowing newcomers into the city is making it less competitive with other Chinese cities. There had been migration into southern Guangdong and what is now Shenzhen since the Southern Song Dynasty (1127-1279 C.E.) but the numbers have increased dramatically since Shenzhen was established in the 1980s. 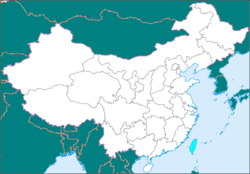 Guangdong is the only city where Mandarin is predominantly spoken, with migrants from all over China. At present, the average age in Shenzhen is less than 30. Among the total population, 8.49 percent are age 14 and under, 88.41 percent between the age of 15 and 59, one-fifth between 20 and 24 and 1.22 percent are aged 65 or above. The population structure is polarized into two extremes: a dense population of highly-educated intellectuals, and migrant workers with poor education. According to the Hong Kong General Chamber of Commerce, in 2002, 7,200 Hong Kong residents commuted daily to Shenzhen for work, and 2,200 students from Shenzhen commuted to school in Hong Kong. Though the cities are neighbors, daily commuters must still pass through customs and immigration checkpoints, as travel between the SEZ and the Hong Kong Special Administrative Region (SAR) is restricted. In late July of 2003, China relaxed travel restrictions to allow individuals from the southern cities of Guangzhou and Shenzhen, as well as Beijing and Shanghai, to visit Hong Kong. Previously, mainland travelers could only visit the city as part of a tour group. Immigration into Shenzhen from the Chinese interior is heavily restricted by the hukou system that divides and registers the population into "rural" or "urban" residents, and restricts rural residents from using social services and education reserved for the others. One consequence is that just outside of Shenzhen there are large "towns" consisting of a large number of migrants from the Chinese interior who attempt to enter the city. Shenzhen is a sub-tropical maritime region, located near the Tropic of Cancer, with frequent tropical cyclones in summer and early autumn, and an average temperature of 22.4°C year-round (72°F), although daytime temperatures can exceed 35°C. The weather is generally pleasant in Shenzhen, temperate and mild in the autumn; the South China Sea buffers its climate, so cold snaps are not common. In the spring Shenzhen is relatively dry, and then it has a warm and wet summer, occasionally hit by typhoons from the east. In 2001, the working population of Shenzhen reached 3.3 million. Though the secondary sector of industry had the largest share (1.85 million in 2001, increased by 5.5 percent), the tertiary sector of industry (services sector) is growing the fastest (1.44 million in 2001, increased by 11.6 percent). Shenzhen's GDP totaled CNY 568.439 billion in 2006, up by 15 percent over the previous year. Its economy grew by 16.3 percent yearly from 2001 to 2005 on average. The proportion of the three industries to the aggregate of GDP was 0.3:51.6:48.1 in 2004 and 0.2:52.4:47.4 in 2005. The proportion of the tertiary industry to GDP was down by 0.7 percent  Shenzhen is in the top rank of mainland Chinese cities in terms of comprehensive economic power. It ranked fourth in GDP among mainland Chinese cities in 2001, and top in GDP per capita during the same period. Its import and export volumes have been first for the last nine consecutive years. It is the second in terms of industrial output. For five consecutive years, its internal revenue within local budget ranked third. It also ranked third in the actual use of foreign capital. Shenzhen is home to some of China's most successful high-tech companies, such as Huawei and ZTE. A number of foreign IT companies also have facilities in the city - Foxconn has a manufacturing plant based in Shenzhen where they make most of the iPods and laptops for Apple Computer. It appears to be shipping a large majority of the new Intel-based machines at this stage. Shenzhen City Commercial Bank is also based in the city. The Shenzhen Stock Exchange (the SZSE) is a mutualized national stock exchange under the China Securities Regulatory Commission (the CSRC) that provides a venue for securities trading. A broad spectrum of market participants, including 540 listed companies, 35 million registered investors and 177 exchange members, create the market. Here buying and selling orders are matched in a fair, open and orderly market, through an automated system to create the best possible prices based on price-time priority. Since its creation in 1990, the SSE has blossomed into a market of great competitive edges in the country, with a market capitalization around RMB 1 trillion (US$ 122 billion). On a daily basis, around 600,000 deals, valued US$ 807 million, trade on the SSE. Shenzhen is home to the world's ninth tallest building, the Shun Hing Square (Diwang Building). As people started to congest the downtown area, Shenzhen built many buildings over 200 meters (656 feet), mostly in the Luohu and Futian districts. The second tallest building in Shenzhen is SEG Plaza, at a height of 356 meters (292 meters to roof-top). It is located in the commercial and shopping district of Huaqiang North (华强北). According to Emporis, Shenzhen is ranked ninth in the world in terms of highrise buildings, and fifth best city skyline in the world. Shenzhen is the site of some of the most audacious building projects that China has ever seen, and it has become a showcase for China. The International Trade Center (国贸), built in 1985, was the tallest building in China when built, and the Shun Hing building was also the tallest in Asia when it was built (it is still the tallest steel building in the world). The 439 meter (1,440 ft) tall Kingkey Finance Tower, when it is completed in 2009, will be the tallest building in Shenzhen. Situated in the Pearl River Delta in China’s Guangdong Province, Shenzhen Port is adjacent to Hong Kong. The city’s 260 kilometer (161.5 mile) coastline is divided by the Kowloon Peninsula into two halves, the eastern and the western. Shenzhen’s western port area lies to the east of Lingdingyang in the Pearl River Estuary and possesses a deep water harbor with superb natural shelters. It is about 20 sea miles from Hong Kong to the south and 60 sea miles from Guangzhou to the north. Through the Pearl River system, the western port area is connected with the cities and counties in Pearl River Delta networks; through On See Dun waterway, it extends to all ports both at home and abroad. The eastern port area lies north of Dapeng Bay, where the harbor is wide and calm and is regarded as the best natural harbor in South China. Shenzhen handled a record number of containers in 2005, ranking as the world's fourth-busiest port, after rising trade increased cargo shipments through the southern Chinese city. Hutchison Whampoa Ltd, China Merchants Holdings (International) Co and other operators of the port handled 16.2 million standard 20-foot boxes last year, a 19 percent increase. Shenzhen Airport is 35km from central Shenzhen and connects the city with many other parts of China, as well as some international destinations. It is normally cheaper for people based in Hong Kong to fly to Mainland Chinese destinations from Shenzhen than from Hong Kong, and it is usually cheaper for those based in southern Mainland China to fly out of Hong Kong to international destinations. Shenzhen Railway Station is located at the junction of Jianshe Lu, Heping Lu and Renmin Nan Lu and provides links to different parts of China. There are frequent trains to Guangzhou, plus long-distance trains to Beijing, Jiujiang, Maoming, Shantou and other destinations. The train journey from Hong Kong's Kowloon Tong KCR station to Lo Wu's border crossing takes approximately 40 minutes. There is another railway station located in Nanshan District, Shenzhen Xi, which is used for a small number of long distance trains, such as the one to Hefei. Although the immigration laws have recently changed, most nationalities, except for Japanese and Singaporean, need to apply for a visa at the border crossing. Since 2006, American citizens must obtain a visa prior to going to Shenzhen. Since February 2003, the road border crossing with Hong Kong at Huanggang has been open 24 hours a day. The journey can be made by private vehicle or by bus. A shuttle bus connects it with the Lok Ma Chau Public Transport Interchange on the other side of the border. The Shenzhen Metro system opened on December 27, 2004. It has two lines, one from Luohu (Lo Wu and Shenzhen railway stations) to Window of the World, and the other from Huanggang to a point further north. Shenzhen is also connected by fast ferries linking Shekou, on the west edge of the SEZ with Zhuhai, Macau, Hong Kong International Airport, Kowloon and Hong Kong Island. There are also frequent bus and van services from Hongkong International Airport to Huanggang and most major hotels in Shenzhen. Shenzhen's major tourist attractions include the Chinese Folk Culture Villages, the Window of the World, Happy Valley, Splendid China, the Safari Park in Nanshan district, the Dameisha Promenade, Xiaomeisha Beach Resort in Yantian district, Zhongying Street, Xianhu Lake Botanical Garden, and Minsk World. The city also offers free admission to a number of public parks including the Lianhuashan Park, Lizhi Park and Wutongshan Park. Shenzhen is famous for the great variety of cuisines that its numerous restaurants provide. The Shenzhen City Government and the Shenzhen Bureau of Trade and Industry maintain offices overseas to promote trade and investment in Shenzhen. Shenzhen is the only major Chinese city to station full-time representatives overseas. This effort has served to attract major investment projects and helped Shenzhen-based companies expand their markets by providing free assistance and government support. ↑ 1.0 1.1 深圳市2010年第六次全国人口普查主要数据公报 (in Simplified Chinese). Shenzhen Municipal Statistic Bureau (2014-05-12). Retrieved July 28, 2011. ↑ Shenzhen Government Online, Citizens' Life, Shenzhen Information Network Center, 107.11.24, Sat. Retrieved November 25, 2007. ↑ Tertiary Industry Contributes Less to Shenzhen's GDP, tmcnet.com. January 29, 2006. Retrieved November 25, 2007. ↑ Luigi Di Serio. top skylines. www.diserio.com. Retrieved November 25, 2007. ↑ Shenzhen Stock Exchange. Retrieved November 25, 2007. North American Representative Office of Shenzhen, P.R. China (NAROS). This page was last modified on 14 September 2015, at 16:00.